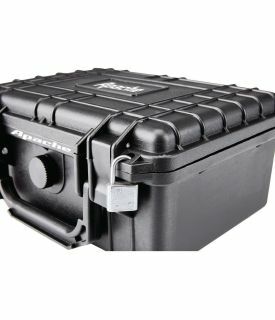 Protect cameras, microphones, handguns and other specialized equipment with this exceptionally rugged Apache™ weatherproof storage case. Constructed from extremely durable polypropylene, this professional quality hard case takes a beating while protecting the contents from impact, moisture and microscopic dust. The built-in purge valve equalizes pressure so you can open the case after changing elevations. Apache 1800 Custom Foam Case - I.D. 8.38" x 5.88" x 3.75"
Apache 2800 Custom Foam Case - I.D. 12" x 9.25" x 4.94"
Apache 3800 Custom Foam Case - I.D. 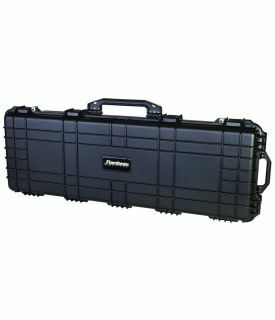 14.88" x 10.63" x 5.88"
Apache 4800 Custom Foam Case - I.D. 17.81" x 12.75" x 6.5"
Apache 8800 Custom Foam Case - I.D. 42" x 13.56" x 5.5"